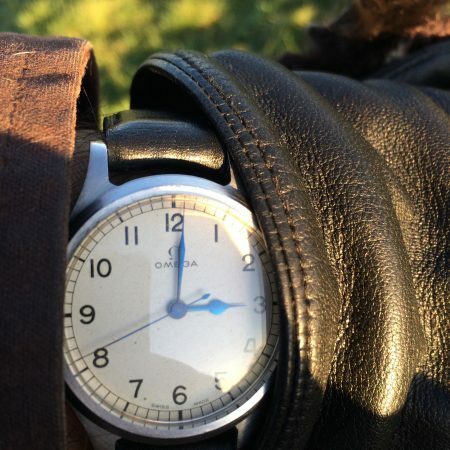 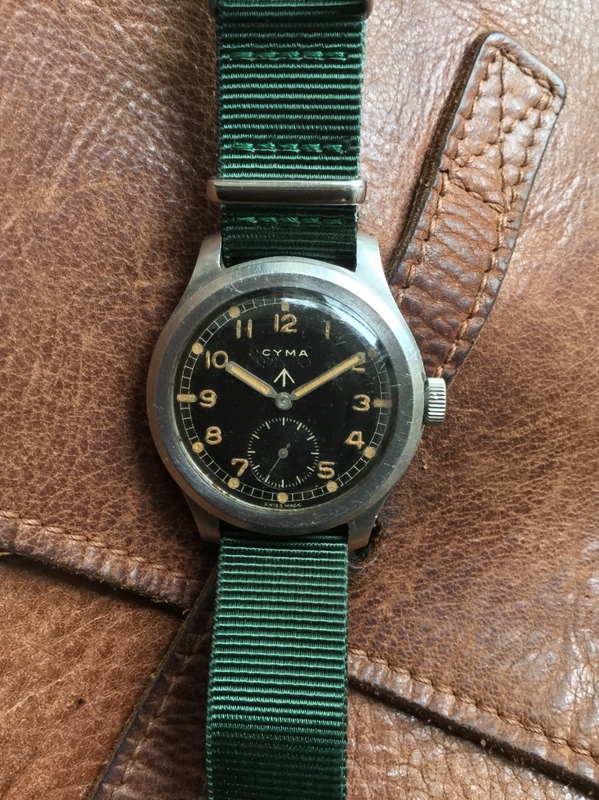 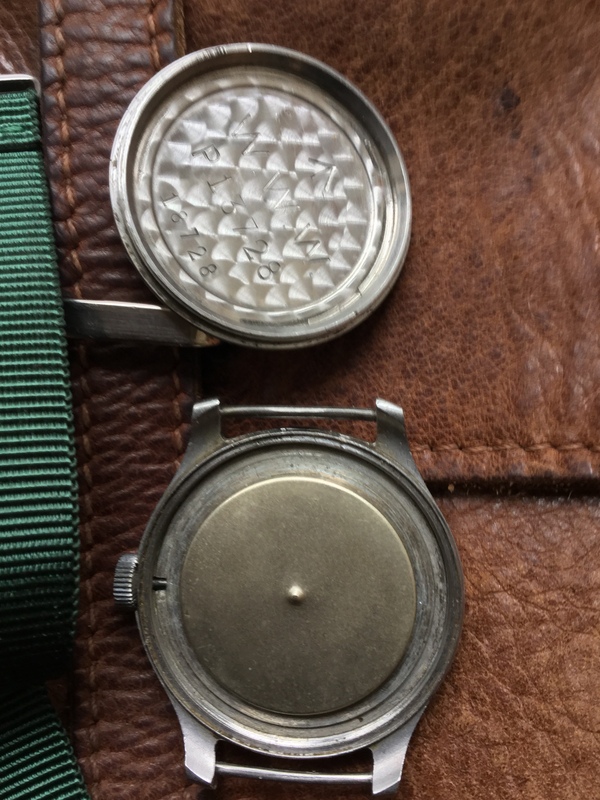 1940’s WW2 Cyma WWW British Military Officer’s Wristwatch. 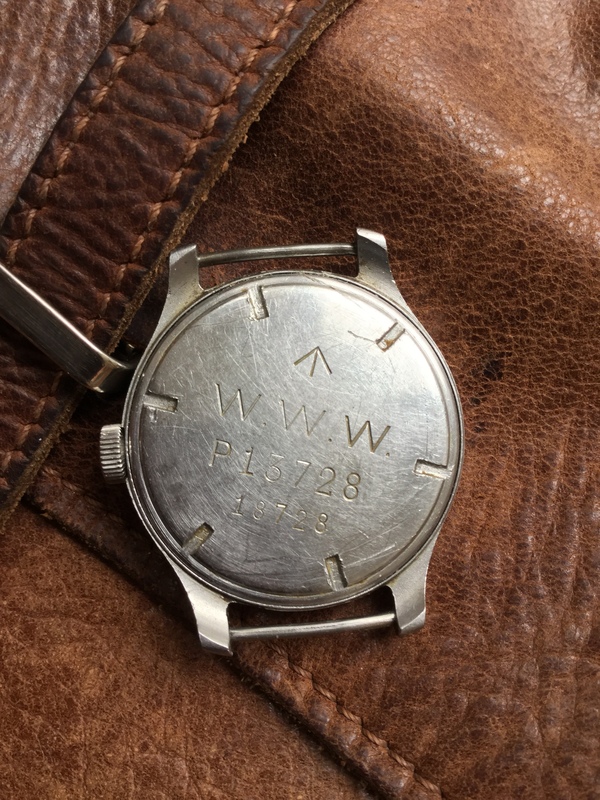 One of the so-called “Dirty Dozen” twelve military watches issued to British forces during WW2. 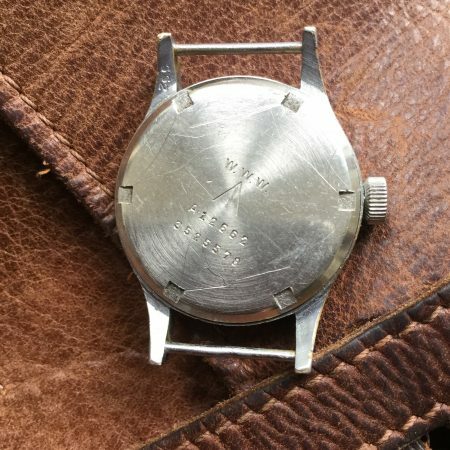 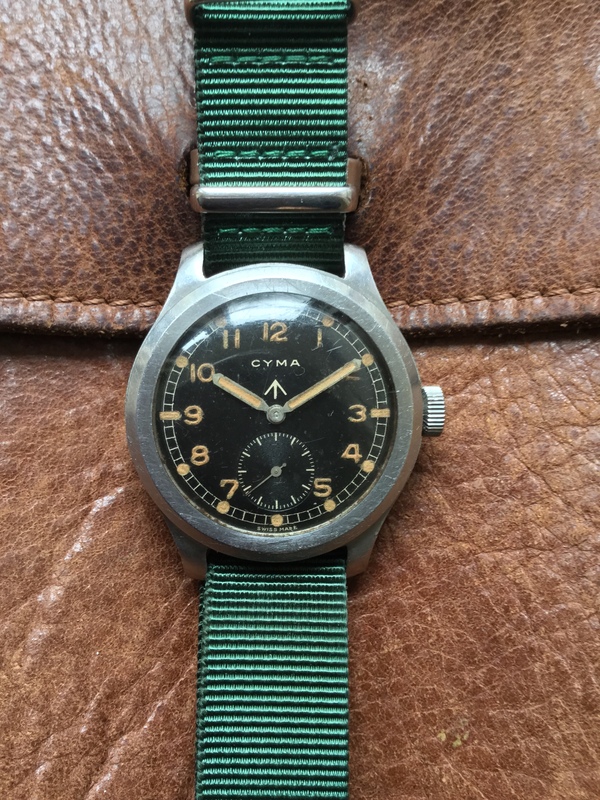 This watch comes from the heart of WW2 and is the largest of these much loved and highly collectible so-called “Dirty Dozen” British military watches. 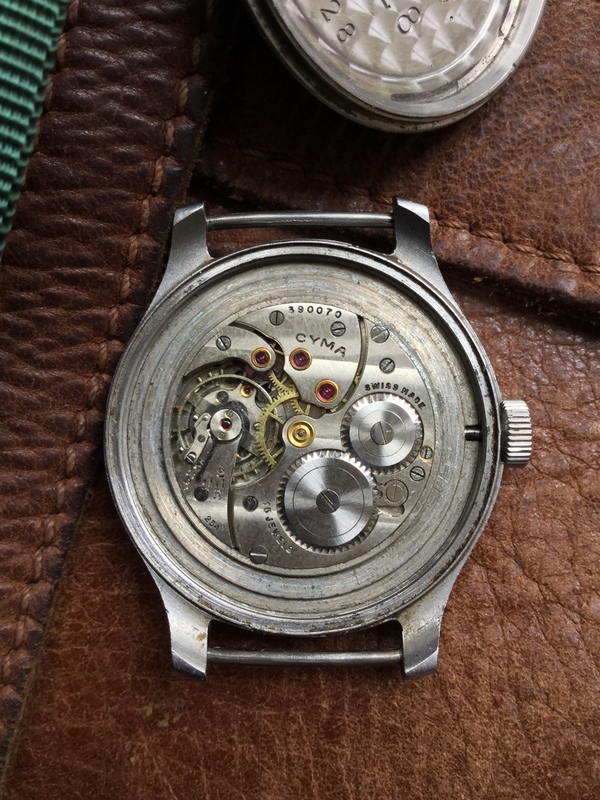 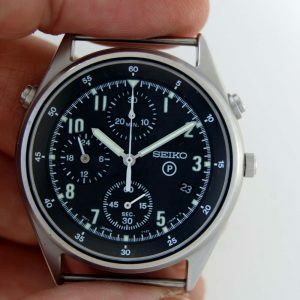 it measures 38mm in diameter not counting the original large military winding crown. 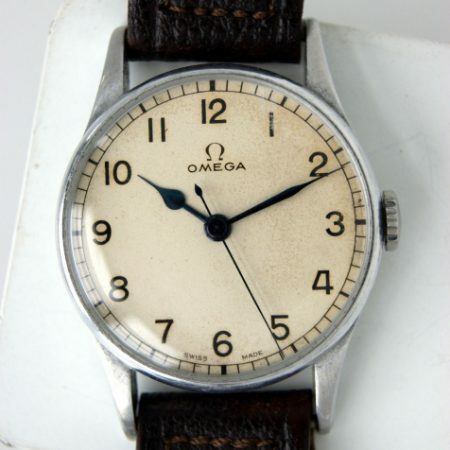 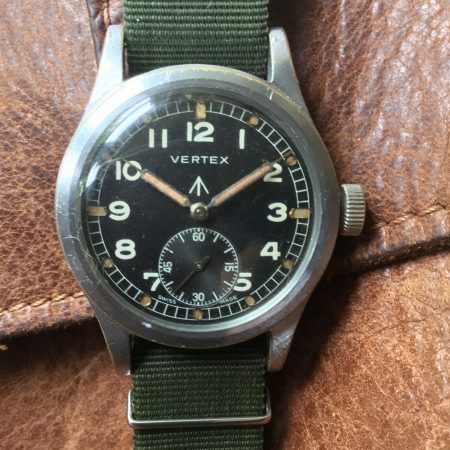 The case is in good original unpolished condition with the correct military issue markings. 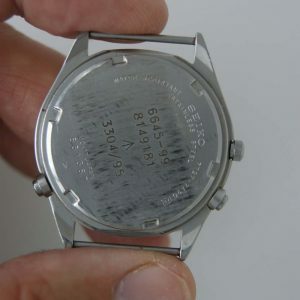 The original inner dust cover is present. 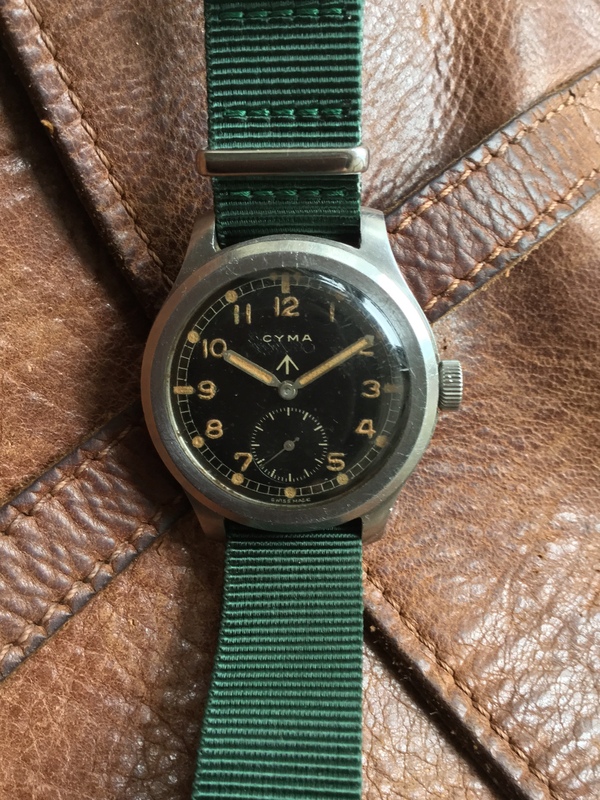 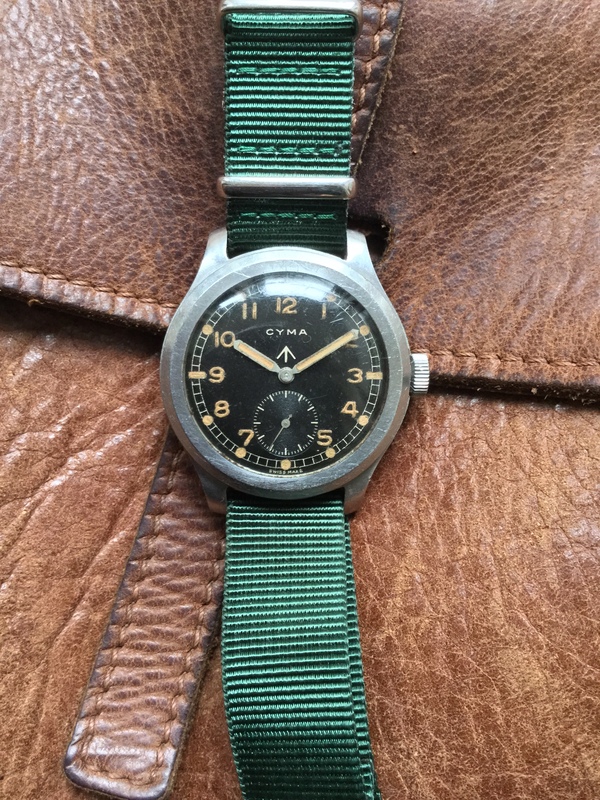 WW2 Cyma WWW Dirty Dozen British Military Wristwatch.